In the late 1980s, Jim Breukelman photographed Vancouver’s quirky and well-tended homes built during the 1930s and 1940s. The resulting series, titled Hot Properties, captured these homes as they were slowly vanishing in areas of the city undergoing rapid change. 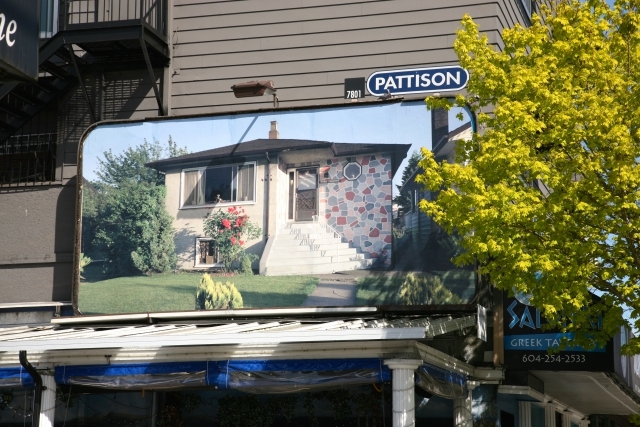 Capture has placed ten of these photographs on billboards throughout Vancouver, in unexpected locations. The homes each reflect the vernacular architectural conventions adopted by builders of the time, from the colourful Frank Stella–like cut-outs adorning a modest bungalow to the baroque flourishes atop a stucco home. The street-facing gardens exhibit the personalities of those who tend them, with their considered mix of springtime blooms and quirky, sometimes misshapen topiaries. Initially conceived as portraits of both the houses and their owners, the series feels more urgent some thirty years later, in 2016. In the years following Breukelman’s documentation, the pace of development in Vancouver has only quickened, yet many of the concerns remain the same. Issues around loss of character persist, as do more alarming trends of gentrification and displacement. Furthermore, homes like these—when they haven’t already been replaced by developments—are assessed at the current value of the land, with the house merely bellying the price. Phrases like “developer’s dream” and “investor’s opportunity” proliferate in real estate listings, implying that the act of living in the space is secondary to the so-called investment in the property. 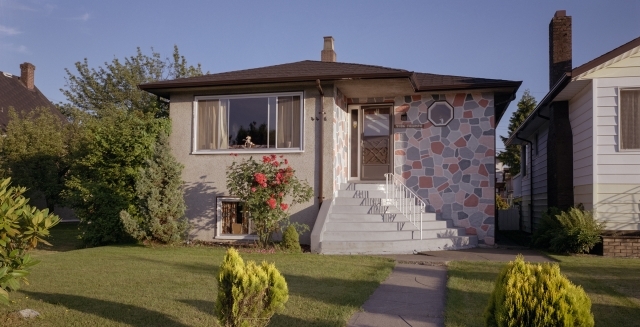 Alternatively, Breukelman’s photographs of these lovingly cared-for homes suggest that the lived experience within a home may actually hold more value. These conflicting sentiments speak to our basic need for shelter and the dream of single-family home ownership, while pointing to the pressure to adapt to a new reality. Capture gratefully acknowledges the support of the British Columbia Arts Council.